Aside from French wines, Italian wines are some of the most popular and sought after wines in the world. 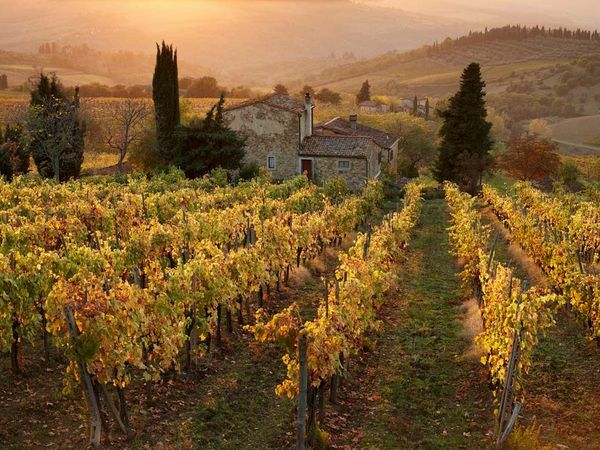 With a vast and varied growing region it’s easy to see how some of the most delicious varieties come from the vineyards that are found within a stone’s throw of famous landmarks like the Leaning Tower of Pisa, the Colosseum and more. The only difficulty with Italian varieties is that there are literally so many! With hundreds of wine varieties and even more grape varieties it’s easy to see why Italy continues to produce some of the most impressive wines in the world. This wine region is known for its delicious and robust red wines as well as rich and flavourful whites. For a truly ideal white wine experience, keep an eye out for the Soave wine which will impress even the most discerning of wine buffs. Hailing from the Valpolicella region, their red wines are made with blends of Corvina, Molinara grapes and their Garganega white grape is the one which helps to create the luscious and rich white Soave. This is a wine region which finds itself along the slopes of the Alps, prime for grape growing. Their Pinot Grigio, Pinot Bianco and other more sweeter wines such as Muller-Thurgau are popular in this area. The region also produces an impressive sparkling wine which his made from blending Pinot Noir and Chardonnay, resulting in a rich wine that rivals Champagnes as the worlds best. This island region of Italy is prime for grape growing and is a popular destination for tourists who like to get away from the bigger tourist centres of mainland Italy. Wines here are robust with deep flavours and the grapes enjoy a longer growing season than those in the north, resulting in a different taste and texture all around. Come to Sardinia if you like your wine plentiful and inexpensive – you will find tons of both! One of the most impressive wine regions in Italy, home of the luscious Aglianico. This wine takes roughly ten years of ageing in order to be considered drinkable, and so the detail of every glass is sure to provide a quality, beautiful wine for even the most discerning of wine connoisseurs. In recent years the winemakers have found a way to age the wine quicker to provide the same or similar taste and texture, but if in the area a proper ten plus year old Aglianico is just what the doctor ordered. Marche (Mar-Kay) wines are known for their particularly delicious white fruity notes. Verdicchio is the most common from the region but there are some new up and comers using new grapes by the name of Lacrima, a fun and fresh new grape that creates wine flavours reminiscent of those similar to Syrah wines. Italian wines are some of the best in the world, and when paired with various Italian foods they can be even more enjoyable than on their own. So be sure on your next trip to Italy to partake in some of the country’s finest in food and beverages – you won’t be disappointed!